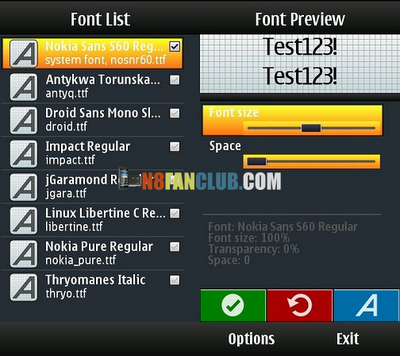 Font Zoomer Pro is the application that allows you to fully customize font in your handset. Using Font Zoomer you can replace system font and change size and space between characters. NOW WITH FONT ZOOMER – NOKIA PURE FONT AVAILABLE ON YOUR PHONE! In new version improved resizing custom font, fixed clock widget bug, and huge load of brand new fonts!